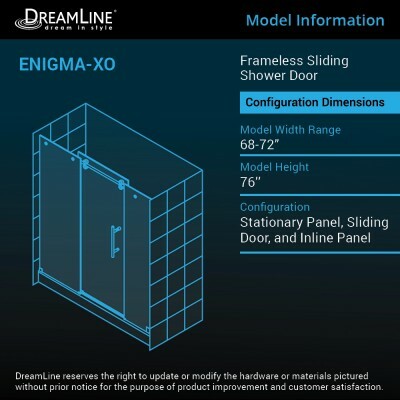 Enigma-XO Shower Door is rated 4.9 out of 5 by 84. Rated 5 out of 5 by hannahL from Exactly what I was looking for! 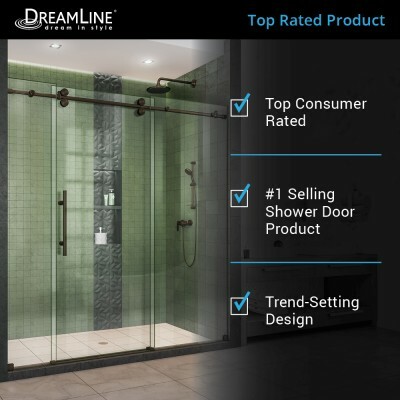 I had seen a door similar to this in a very high end bathroom fixtures showroom and was on a mission to find something like it that I could afford. 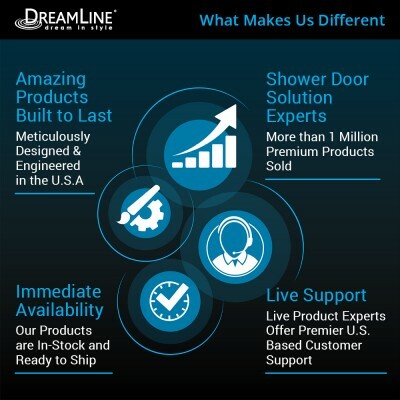 A friend told me about DreamLine, saying she had seen a door at her sister's house. I looked them up and ordered the door through my local HD. Could not be happier. Had a local contractor install it. He wasn't sure he could, but when he had questions about cutting the upper rail we called the Customer Support phone number on the front of the manual. Question answered and we were on our way to a really cool looking shower door! Rated 5 out of 5 by bili8189 from awesome service! I bough my shower a year ago and the wheels broke on one of the hinges. I contacted Home Depot (the location I purchased my shower) and they informed me they dont sell the wheels but I would have to contact Dreamline customer service. I spoke with a very pleasant lady who found my order within 30 seconds. She informed me that I was still under warranty and informed me that I would receive 4 new wheels to replace the broken one and 3 additional to have just in case! That is some service! Very happy that it arrived quickly with tracking information! Rated 5 out of 5 by profitter from Professional Grade I am a do it yourselfer with an eye for perfection. 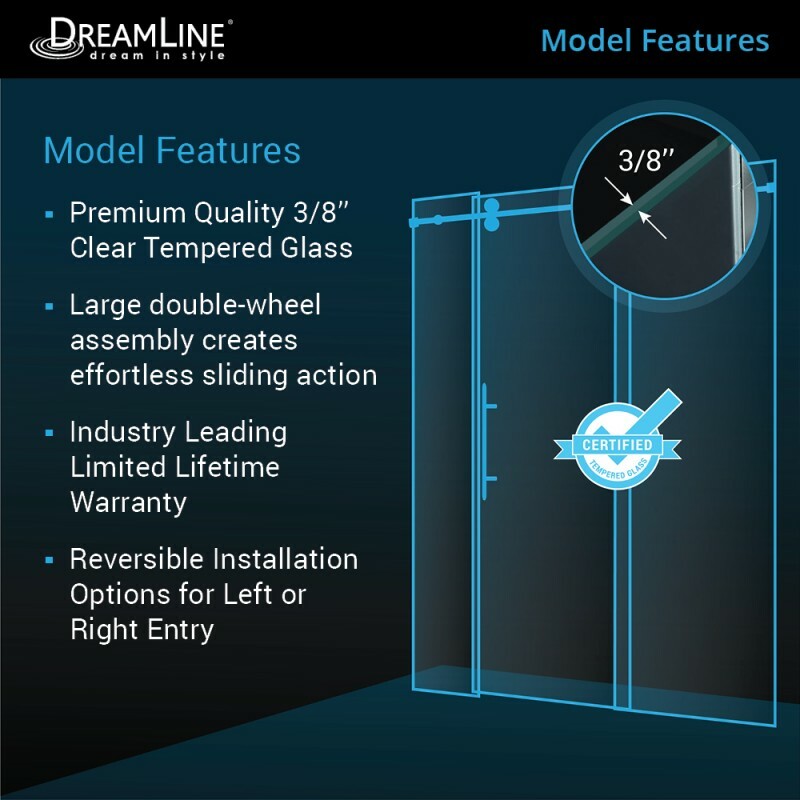 This product is by far the best shower door I have seen. The packaging was done with care. All the items are of high grade stainless steel and the instructions were spot on. I will stress however, that during the tile installation, it is very important to plumb the wall tiles and make sure they are square with the threshold (shower) floor. 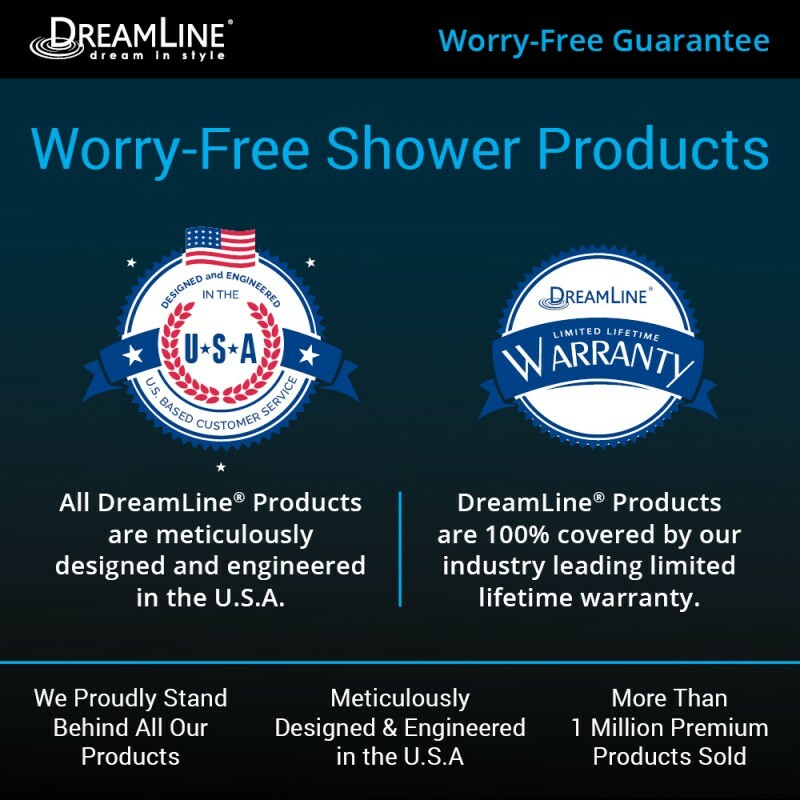 I would highly recommend this product and am very satisfied with the installation. 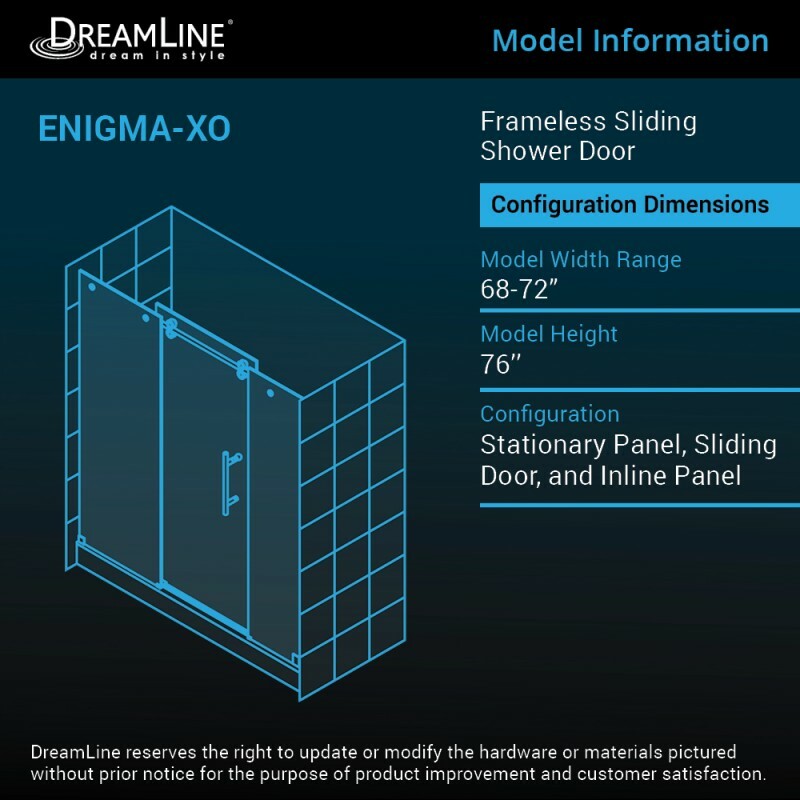 The Enigma SHDR-61607610-07 shower door is the focal point of the bathroom. Rated 5 out of 5 by ChadR from Shower Door Model 61607610 This shower door and supporting hardware is of excellent quality. Our contractor we hired had no issues with the installation...about 2 hours install. He was also very impressed with the quality. 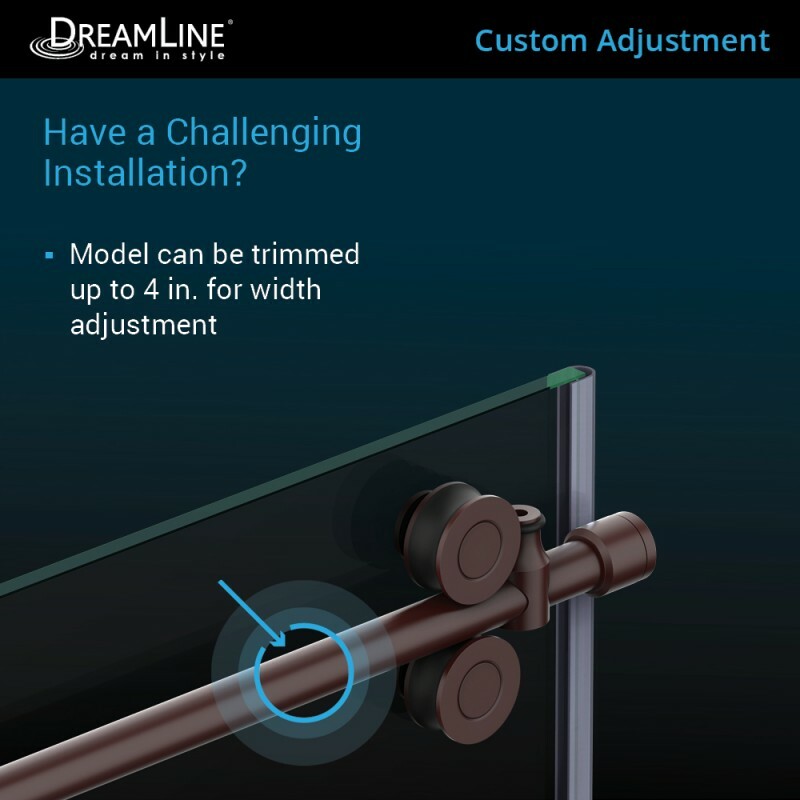 I also want to share I just completed an on-line chat because after installation, we discovered we were missing a bottom splash guard. Within two minutes, the rep had my contact information and is mailing the missing piece at no additional charge. My guess when I purchased from Lowes and shipped, the box was damaged due to the weight of nearly 200 lbs...so I believe this narrow part slipped through the hole. No damage was found on the actual product...glass and hardware. 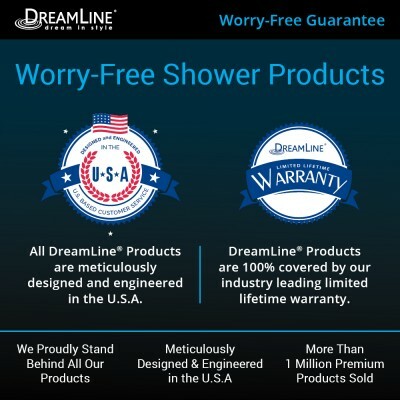 In short, I highly recommend this product and service from DreamLine. Rated 5 out of 5 by The Fireman from Really Good Allow at least a couple of hours to read and re-read the instructions and locate all the parts (small pieces were in individually numbered boxes). The instructions we got were barely legible (very light) so I ran them to PhotoShop to enhance. 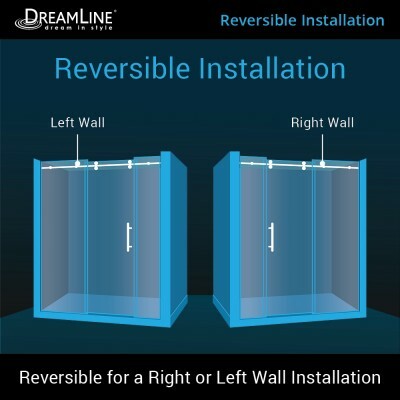 It took my contractor about a day and a half to install properly but he had made sure all the walls were plumb and square and had installed blocking in all the proper places. 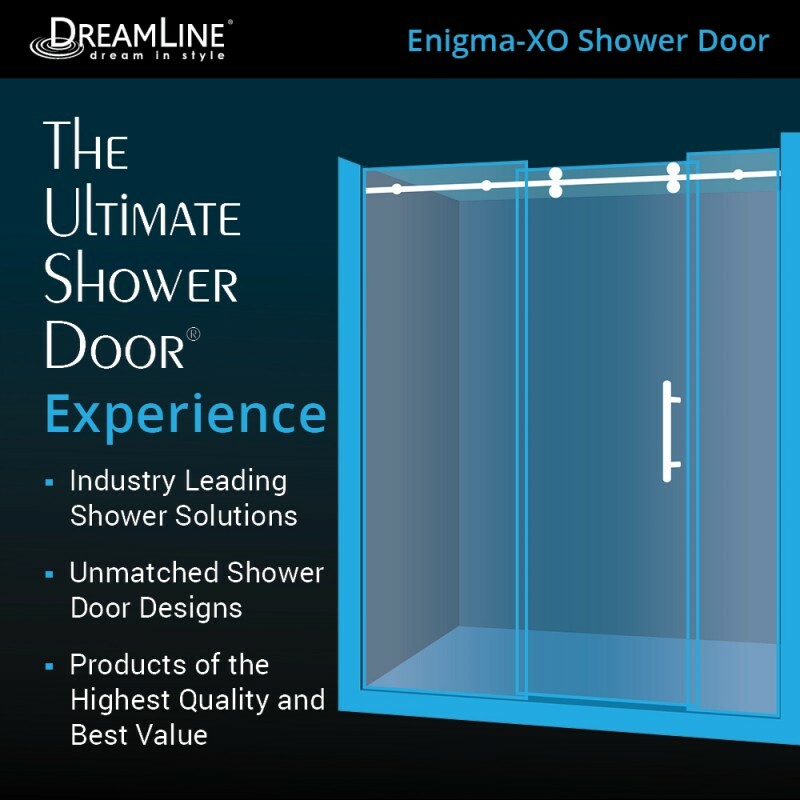 All in all, the result was fantastic, the door glides effortlessly and the glass just needs to be squeegeed after showering. 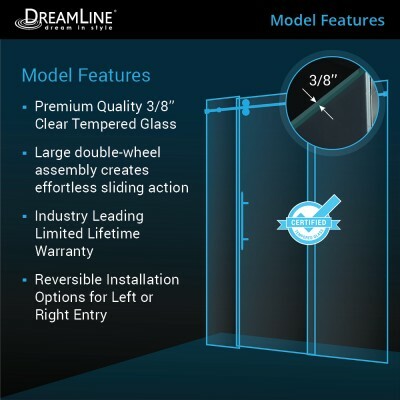 Rated 5 out of 5 by JAG57 from Excellent design and quality This door and hardware are excellently designed and function smoothly. I ended up installing the door myself and had no issues. 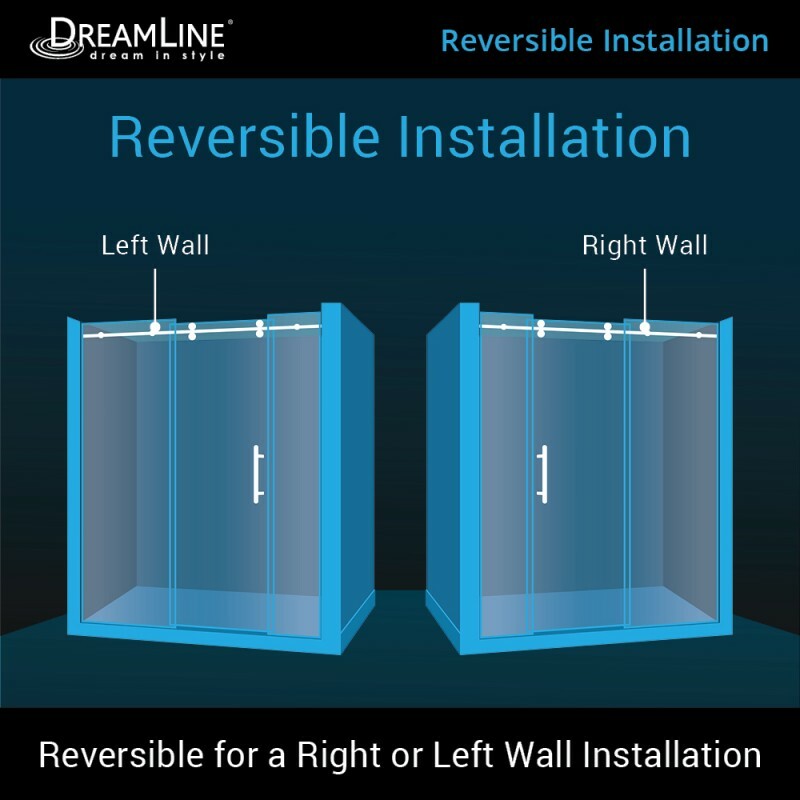 The components are easy to install according to the thorough instructions with good visual guidance provided. 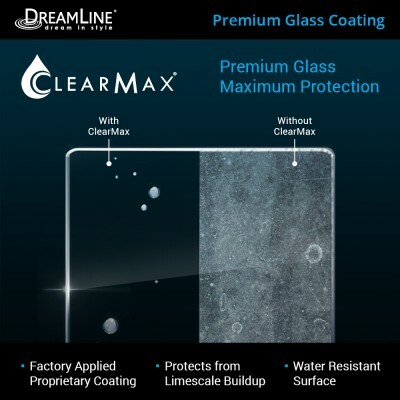 I have been so pleased that I will be utilizing this product in the house I plan to build in the next year or so. The only issue I incurred was a damaged handle which was the fault of the shipper. The customer service experience I encountered in getting the handle replaced quickly was excellent.